Once one of the wealthiest Mediterranean maritime republics, this lagoon city remains a visitor favourite thanks to its romantic gothic architecture, charming canals, and seductive Italian flair. The quintessential Venetian experience; a stay at this stunning 15th century palace captures the magic of this captivating city. Decadent interiors, and historic fine art convey a noble ambiance. 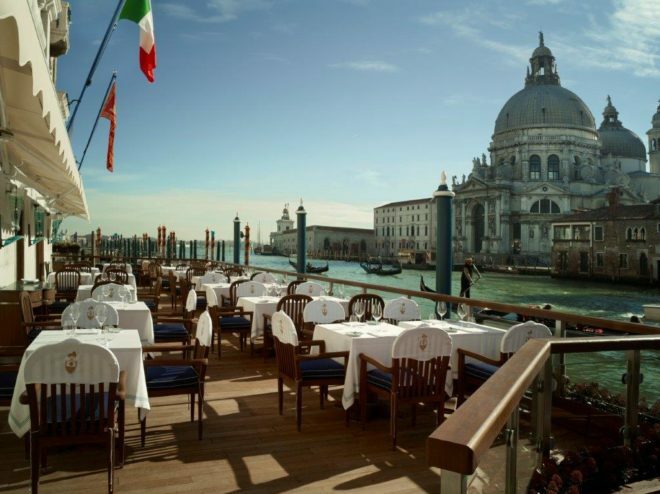 Even if you’re not a guest, make sure you visit the hotel’s stunning Gritti Terrace for a spritz, and enjoy the Grand Canal views across to the Basilica of Santa Maria della Salute. Close to the famous Rialto produce markets, within a vibrant residential area, this B&B of 6 well-appointed rooms has plenty of Italian charm. It doesn’t get much better than this in Venice! George Clooney and Amal Alamuddin certainly thought so, as they chose this stunning 16th century palace for their wedding reception and wedding night. 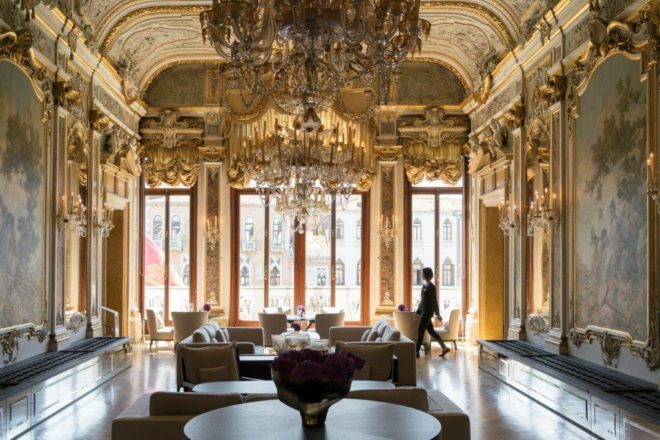 The Baroque-style Palazzo Papadopoli has been meticulously restored, and the Aman signature minimalism harmonises beautifully with the palace’s extravagant frescos, classic art, flamboyant chandeliers and vintage mirrors. 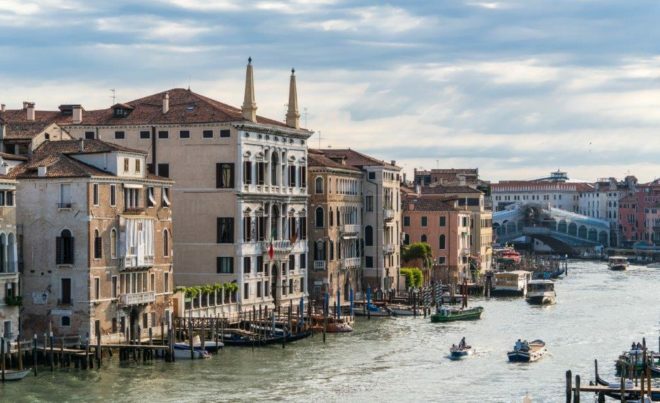 The property has a large garden beside the Grand Canal; and a rooftop terrace, where if you’re lucky you might bump into the aristocratic owners, Giberto and Bianca, the Count and Countess Arrivabene Valenti Gonzaga, who still live onsite, in an apartment on the top floor. 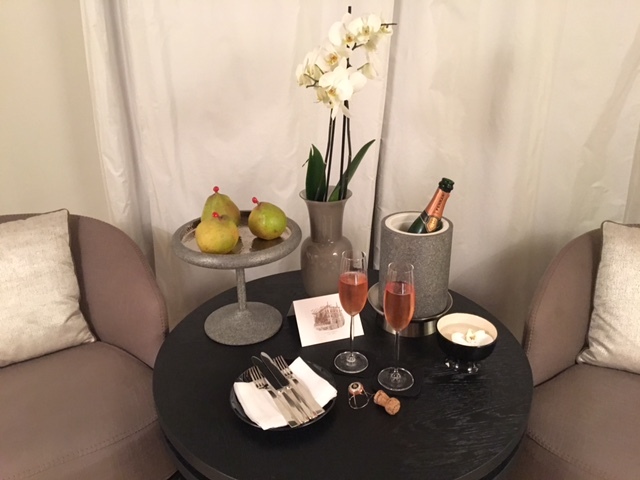 This is the place for impeccable Venetian hospitality – and what’s more, the minibar is included, and the in-room bottles of delicious dry rosé prosecco wine are replenished twice a day! During this year’s ‘Viva Arte Viva’ Art Exhibition you can enjoy 7 monumental sculptures by Japanese artist Kan Yasuda, located throughout the property. Despite its proximity to San Marco, the neighbourhood of Castello feels worlds away. 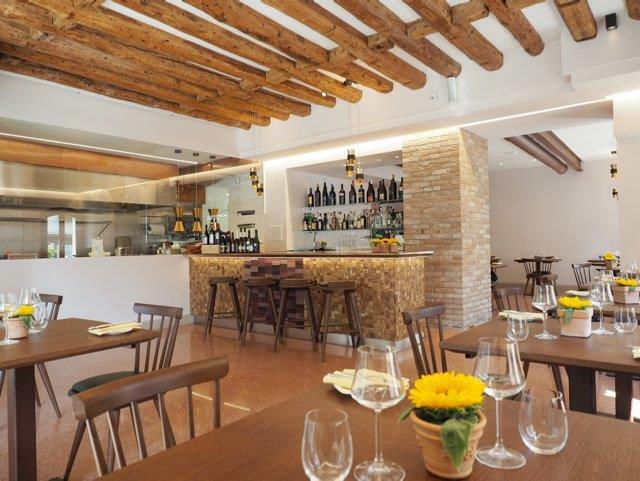 This vibrant, authentic residential area is built upon the Venetian lagoon island of San Pietro di Castello, and is home to one of the city’s most celebrated contemporary restaurants, Ristorante Local. 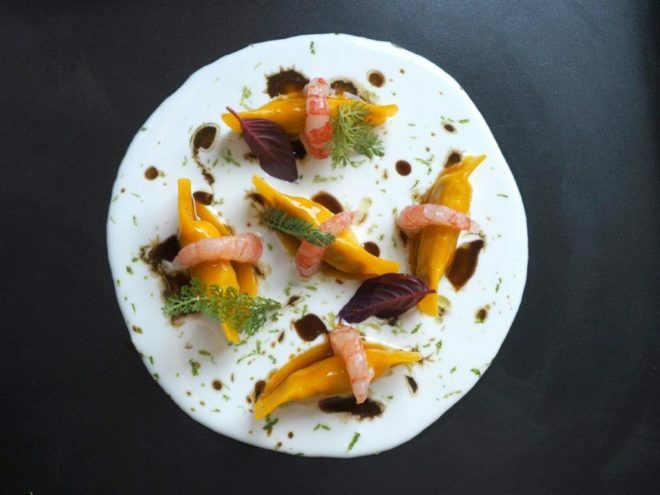 and sous chef Marco Vallaro, together with sommelier Jacopo Rosa will offer a truly memorable meal. This is probably the most famous café on Piazza San Marco. 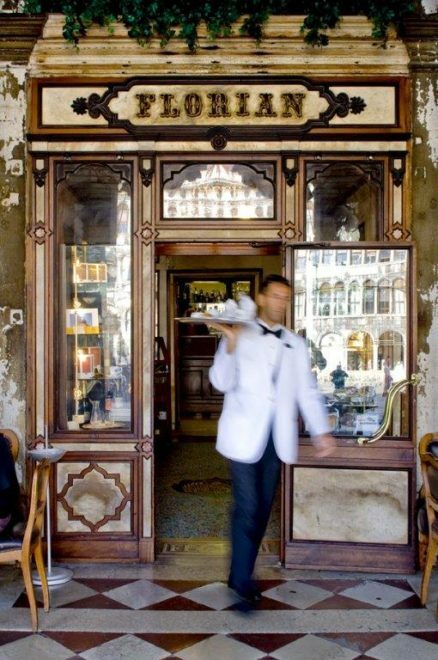 Since its opening in the 1720s, Florian has remained one of Italy’s most famous landmarks, and they say it’s the oldest coffee house in the world. Visit not only for the fabulous gourmet coffees, hot chocolates and sweet treats, but to experience the remarkable salons, each is a different chapter in the story of this remarkable place. No wonder this café is now a global gourmet and lifestyle brand. 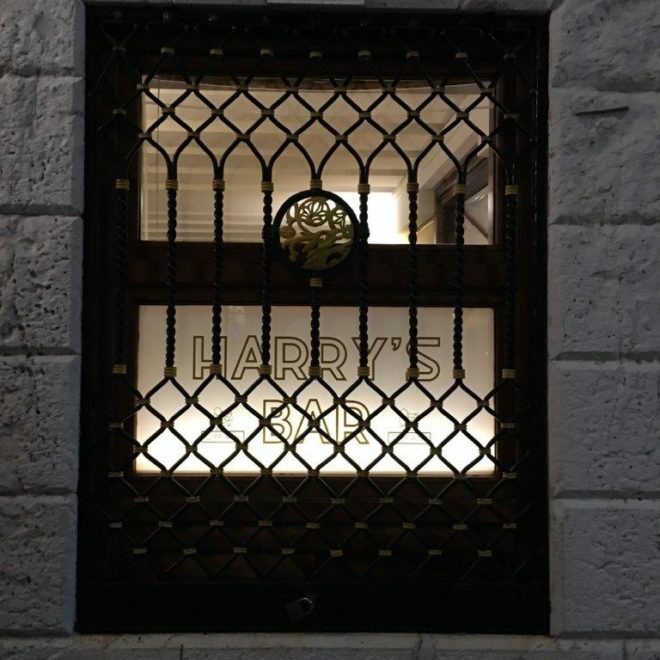 This bar and restaurant needs little introduction. It’s well and truly on the tourist trail, but even so, it’s a requisite to visit and order a Bellini. Manager Claudio and his team will be make you feel welcome as you soak up the history of this famous venue. Cicchetti are small plates of snacks, similar to Spanish tapas. This wine shop and ‘deli’ sells a wide selection of snacks for just 1,50 euro each (like gorgonzola with walnut on toast, or tuna with horse radish and Treviso chicory) as well as no-label Pinot Grigio wine by the glass for 1 euro. It makes for a tasty, authentic and inexpensive lunch close to the main sights. Closed Sundays. One of the most renowned fine-dining restaurants in the city, the signature restaurant of the Gritti Palace Hotel is the place for a celebratory holiday meal. Despite the refined environment, the style is friendly and relaxed. The menu, by Executive Chef Daniele Turco, features flavours of the Venice lagoon and its islands. Try the cicchetti starter of spider-crab with coral salad; small prawns from the lagoon with artichoke; baby scallop gratin; whipped salt cod with white Bianco Perla polenta; and of course, local sardines. The meats and pastas are exceptional too. 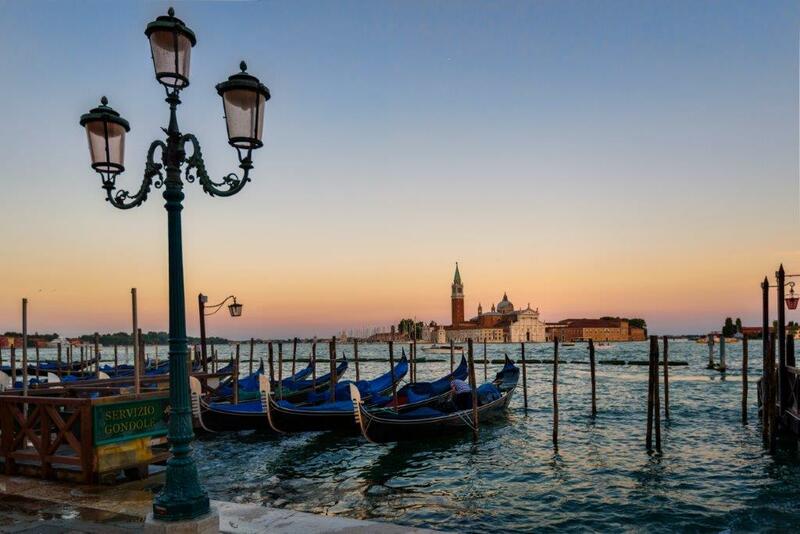 Every year from May to November, Venice is home to a cultural festival, ‘La Biennale di Venezia’, alternating each year between art and architecture. This year, the 57th International Art Exhibition is called ‘Viva Arte Viva’, curated by Christine Macel. It features over 120 artists from 51 countries. Go online to plan your visit to exhibitions across Venice. This is one of the three great Venice festivals, which include the spring Carnival (before Lent; Jan 27th to February 13th, 2018) and the autumn Venice Film Festival (30th August – 9th September 2017). Running until 3 December 2017, catch the exceptional ‘Treasures from the Wreck of the Unbelievable’ exhibition by Damien Hirst. It tells the story of the ancient wreck of the ship ‘Unbelievable’ and presents what was discovered from its cargo. Venice is made up of six ‘sestieri’ island neighbourhoods. A wonderful way to capture the essence of the city is to wake early and explore. All too often, with tens of millions of visitors a year, ‘La Serenissima’ can feel anything but serene. 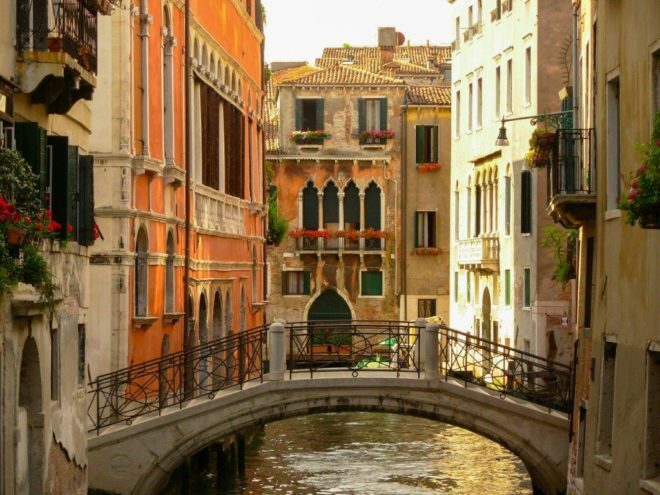 But if you walk beyond the tourist trail, wondering the narrow canal-side alleyways you’ll have an experience that is not shared by the crowds.